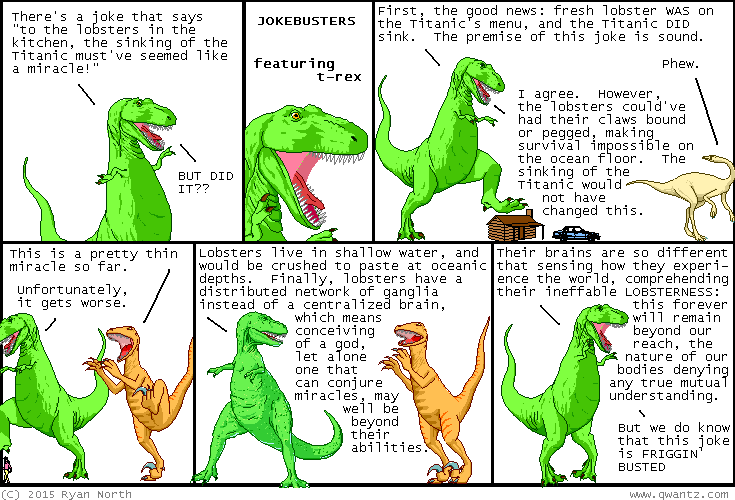 Dinosaur Comics - August 24th, 2015 - awesome fun times! –Is it my curse to ALWAYS have the best jokes? August 24th, 2015: FUN(?) FACT: there are deep sea lobsters, but they weren't discovered until 2011 and certainly weren't being eaten on the Titanic. OR WERE THEY? ?